Home About SMA What kind of relationship between the Church and politics in Africa? When I give food to the hungry they call me a saint. When I ask, ‘Why are they hungry?’ they call me a communist. The reality is, the Church has no option but to speak on issues that affect the dignity of the human person, especially as we believe that the body is the temple of the Holy Spirit and that our mission is to promote the integral development of peoples across the globe. There was a time when the missionary mentality was exclusively about ‘saving souls’. Today, we understand, as St. James teaches us, faith and works of mercy and compassion are part of a seamless garment. There is, of course, a delicate balance. The Church is called to be prophetic, not to be a quasi political party or movement. Anything that offends the dignity of the human person, made in the Image of God, must be challenged and if that requires speaking truth to power, we have no option. In an age of growing tensions across the globe, when scientists are warning of the catastrophic consequences of Global Warming and the need for urgent action, when the gap between rich and poor widens, the Church is called to be prophetic and, if necessary, face martyrdom in the spirit of Oscar Romero and Edith Stein. 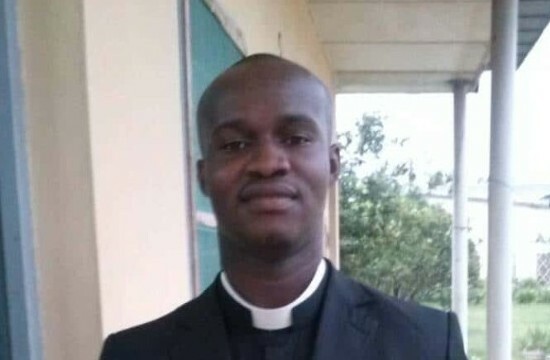 On January 31, 2019, SMA Missionary priest, Fr.Donald Zagoré, published an article in La Croix International entitled, ‘ The socio-political involvement of African Church leaders is sometimes tested by the bad will of African politicians’. He explores the delicate balance the Church must maintain. Fr. Zagoré begins: “Failure of the political process to establish governments of peace and reconciliation in Africa today, has lead people to increasingly turn to the Church for leadership. “With tense and even violent election processes under way or to come in several nations, debate over the socio-political involvement of the African Church has come to the forefront. To read the full article by Fr. Donald Zagoré SMA, please click here.